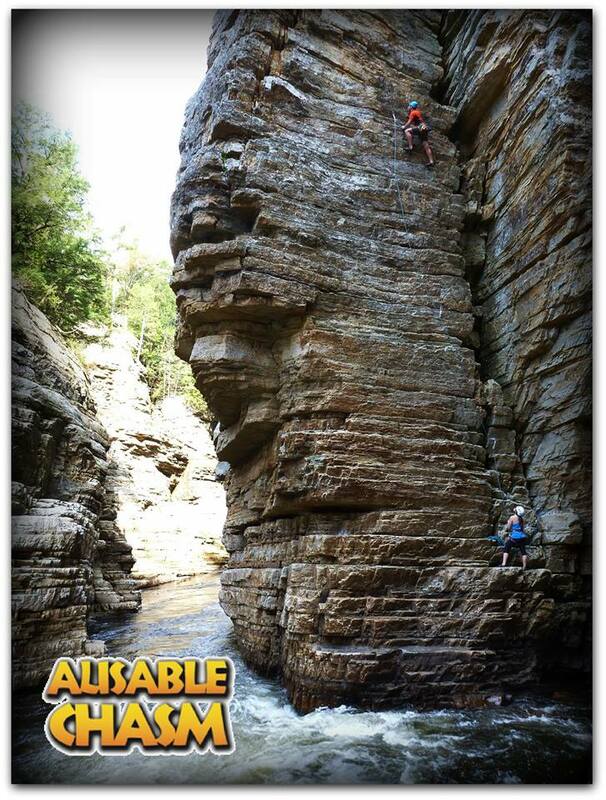 Check out our newest addition here at Ausable Chasm, rock climbing! If you are seeking your next high adventure thrill, look no further. Guest of all ages and experience levels will be able to scale the chasm walls safely with our experienced guides! With multiple walls of varying difficulties, beginners and experts alike will be sure to find a climbing route suited to their skill level in a safe environment! Participants must be 13+ (Please provide document with date of birth if 13-14 years old), Under 18 must be accompanied by a parent/guardian, 54" waist / 250 Lb maximum (customers close to limits may be required to complete a discreet weigh-in). Adult admission required. Close-toed shoes are required for the approach to climbing areas, no exceptions. All sales final. No cancellations. Please notify us ahead of time if a late arrival is probable. There is a 15 minute grace period for late arrivals and at that point you will be considered as a no show. A late arrival could diminish the experience of other paying guests and for this reason, tardiness of greater than 15 minutes without notification will result in forfeiture of your reservation without refund.